Free DeliveryInda Lea Robe HooksFrom £14.88 inc.VATRRP: £19.84 (Save 25%)Available in 3 sizes, 1, 2 or 3 hooks. 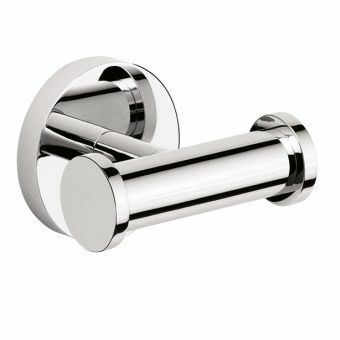 Solid brass bodied, chrome plated useful bathroom hooks, stylish design. AXOR Universal Accessories Single Hook£34.45 inc.VATRRP: £53.00 (Save 35%)Chrome finish. Free DeliveryPerrin and Rowe Deco Twin Robe Hook£115.01 inc.VATRRP: £143.76 (Save 20%)Classical Art-Deco inspired styling. 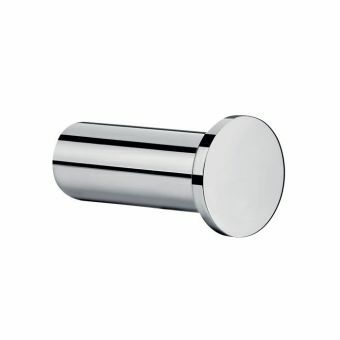 Chic and clean, bright chrome finish, other colours available as special order. 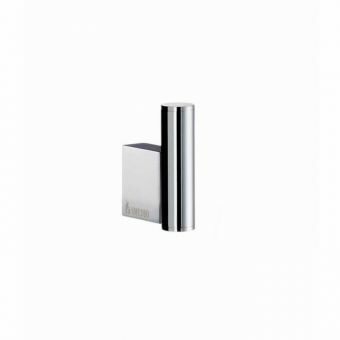 Hansgrohe Logis Universal Towel Hook£9.50 inc.VATHandy, tough little robe hook made from solid metal, chrome plated. German made, reliable and well designed. 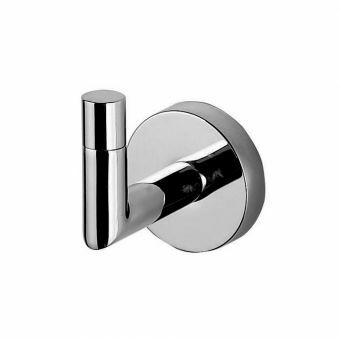 Hansgrohe Logis Universal Double Towel Hook£19.00 inc.VATThis double towel hook from top brassware producer Hansgrohe is made from solid brass, plated in polished chrome. 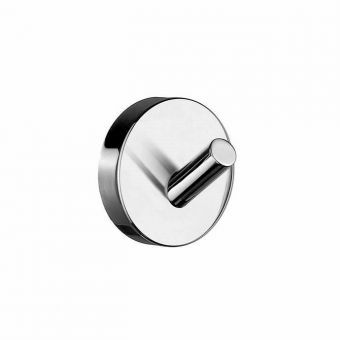 It is often the last thing that we think of when fitting out a new bathroom or shower room, the robe hook. It has been known for some people to drive a nail into the wall, a bit drastic we think, better still but not very nice is a cup hook which is screwed to the back of the bathroom door! 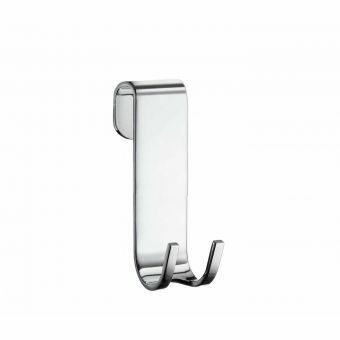 No we can offer a wide choice of over 70 robe hooks all of different styling, including modern, traditional, double, or multiple rob hooks, and there is a complete choice. 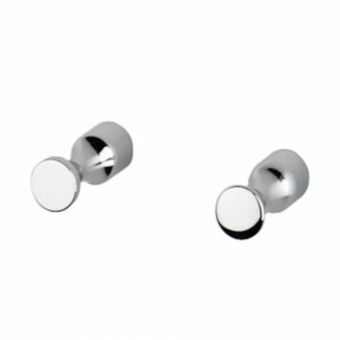 Many choose a double robe hook and we consider that there is nothing wrong with that, his and hers if you like, but how much nicer is it to have to separate hooks which avoid a robe being accidently knocked to the floor? 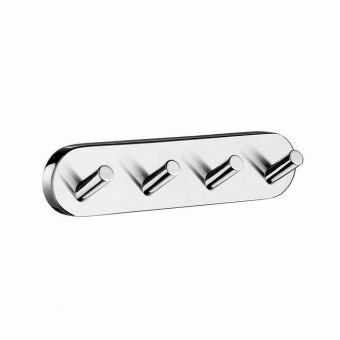 We also offer a number of multiple hooks on our website; these have four hooks which are neatly and evenly spaced onto a backing plate which is easily fixed to a wall or door, enough to cater for all the family. Of course with all the styling you would expect to see a traditional style of robe hook, one that will fit into the retro Victorian or Edwardian bathroom. 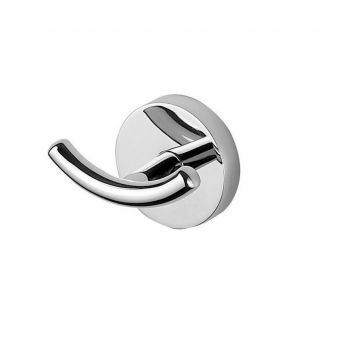 The Burlington Double Robe Hook fits beautifully into this category and is perfect for his and hers in a master bathroom suite. Displaying all the styling and elegance of the period the timeless look with enhance any period or even modern bathroom, just one of the many from which you can choose. 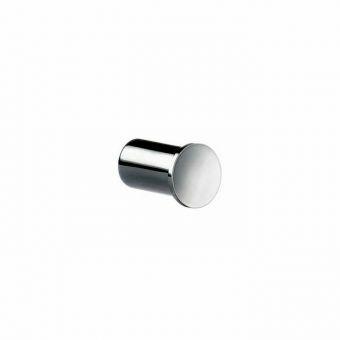 You'll probably be surprised by the number of products available in our selection of bathroom robe hooks. 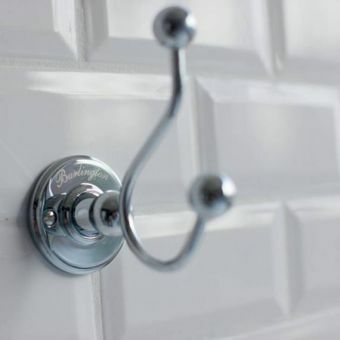 When you think about it, after the shower or bath, the item that is probably used the most in a bathroom is the robe hook. So it is important to give this seemingly banal accessory a certain degree of serious thought. 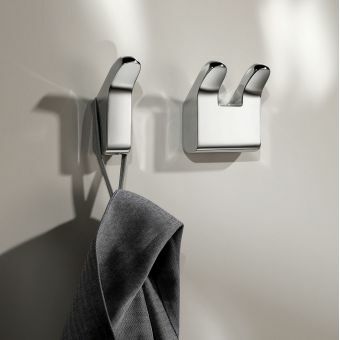 Indeed, no tidy and organised bathroom can do without at least one set of robe hooks for people to hang their clothes, robes or towels on while they are in the room, or even leave them there for later. The robe hook is an instant storage solution that doubles as a real feature in your bathroom, cloakroom, en-suite, wet room or toilet. It's an ideal accessory combining functionality and aesthetics, so it's the perfect space-saver. 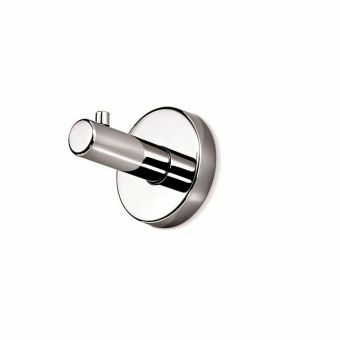 Whatever the style you're looking for, you are sure to find the perfect robe hook to match the design of your bathroom in our large selection from well-known bathroom accessory manufacturers with an international reputation: Burlington, Grohe, Imperial, Inda, Keuco and Smedbo. 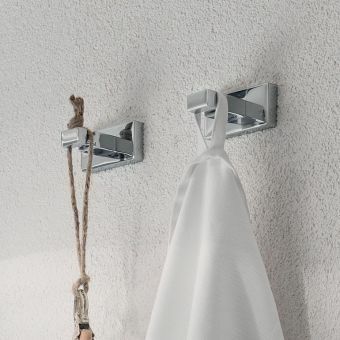 It can be tempting to be less attentive to aesthetics when it comes to putting the final touches on your bathroom decor with functional accessories such as robe hooks. But even if you consider that needing a simple hook doesn't warrant spending a lot of time trying to create or match a particular look, don't make the mistake of using any old hook that's lying around in your shed or drawer. 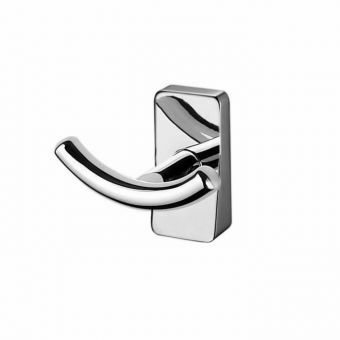 There are no short cuts: it's essential to use hooks specifically designed for bathroom use, otherwise you run the risk of seeing your robe hooks rust or corrode in a short space of time. Any bathroom environment is inevitably prone to humidity, so you will end up being disappointed if you opt for an ordinary hook. The materials used by our selection of manufacturers are all guaranteed anti-corrosion, so you have nothing to worry about. 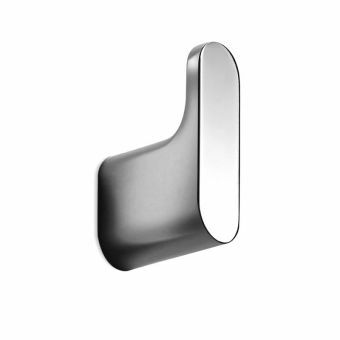 To choose the right hook(s) for your room, you need to take into account different criteria concerning both the functionality and the aesthetics. First, the type of hook: do you want a single hook, or a double or triple set of hooks? If you're interested in a double robe hook, should it be horizontal or vertical? You need to think about the number of people who will wish to use the hooks at the same time. And don't forget to take into account the shorter height of children who are going to use the bathroom. It may also be in your interest to consider purchasing several robe hooks to create a stylish hanging area for towels, robes, or even loofahs and body brushes. You need to think carefully about where you are going to fix your robe hooks. An obvious choice for items of clothing would be on the back of the door, but it's worth considering the distance between the bath or shower and the door before settling for this solution. It might be preferable to position the hooks on a wall or partition closer to the bath or shower to enhance the convenience. We recommend experimenting with cardboard templates to find the perfect combination, as well as the layout of your robe hooks to help you create the unfussy, streamlined look you want. Next, ask yourself about the material that will best match your other bathroom fittings. 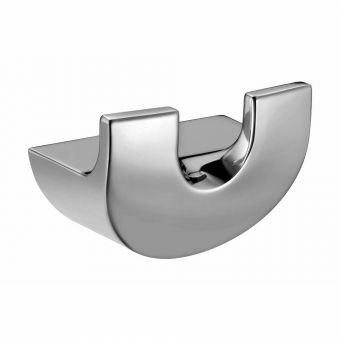 Most robe hooks are either chrome, nickel, brass or stainless steel, all of which resist corrosion. The type of metal also determines the colour: chrome, nickel and stainless steel are silver-coloured, while bronze and brass look rather like gold. Another factor to consider is the finish. Depending on the manufacturer and the line you will be able to choose between a brushed, polished, satin or high shine finish. 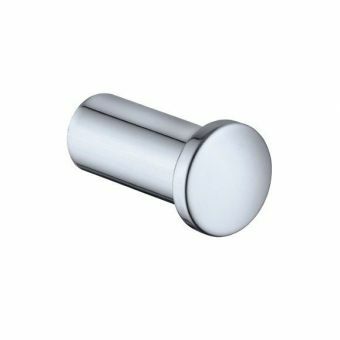 If you are unsure how they will fit in with the rest of your bathroom accessories, look at the photographs of the different robe hooks on offer and compare the finish with your other fittings. The choice of finish is of prime importance if you are hoping to create a sleek, sophisticated, contemporary look. 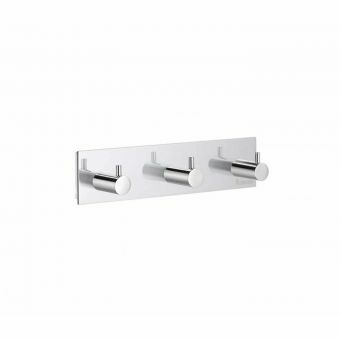 At the same time, if the other accessories in your bathroom are not at all coordinated, there will be absolutely no constraint in your choice of finish for your robe hooks. But don't go too fast! There is another essential factor to take into account before you settle for your final choice: the design. Whether you choose between classic, modern or traditional, our selection of manufacturers offer a wide range of robe hooks with clean lines for fashionable living. You can choose between soft square shapes, solid sleek cylinders, or smooth round robe hooks to create an uncluttered, sophisticated look. 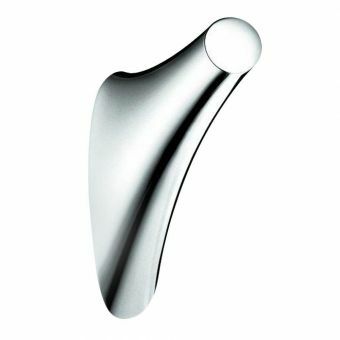 Whatever your choice, the curvaceous smooth surfaces of your robe hooks will help create a modern, uncluttered look, giving an attractive, flowing appearance to your bathroom. 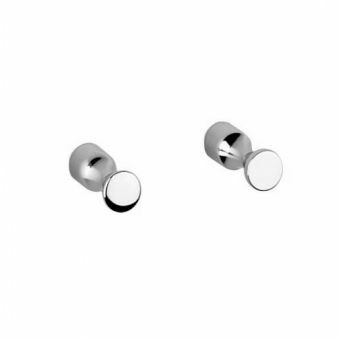 If you're interested in purchasing double or triple hooks, take the time to have a good look at the entire selection before making your choice, as there is a wide range of products with very distinctive looks. For the vertically positioned double hooks, you need to decide if you'd like them to be the same size, or if you prefer the top one to be bigger. Likewise, for the horizontally positioned double hooks, do you want them to be at 180° or at an oblique angle? Of course, it is more a question of taste than of practicality. 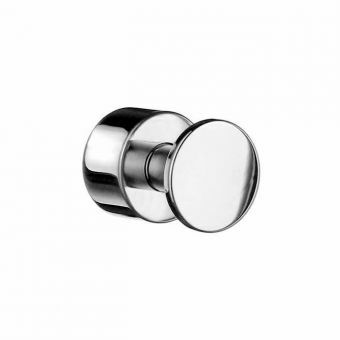 We have chosen to offer you a wide range of manufacturers to ensure that you find exactly the right robe hooks to complete your bathroom with a bold and beautiful statement. If you are going for a traditional style, be it Victorian or Edwardian, then British-made Burlington robe hooks are sure to correspond to what you're looking for. 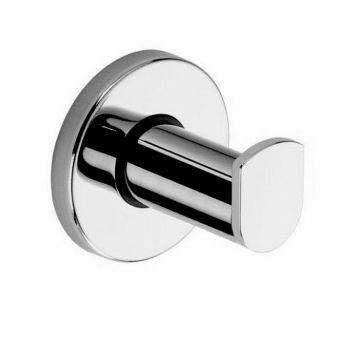 Made to the same high standards that Burlington is known for in their entire range of bathroom fittings and furniture, their robe hooks have that distinctive flavour of British sophistication that will go equally well with modern or classic bathroom fixtures. German-made Grohe products have a different, yet equally attractive appeal. 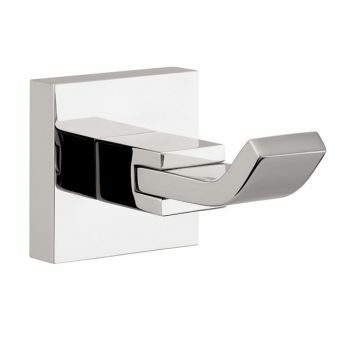 Grohe robe hooks offer a perfect coordination with the company's wide range of taps, and yet at the same time, their unique mixture of simplicity, sophistication and solidity make them fashionable accessories for any bathroom, no matter what make of taps are installed. And you can be sure that your Grohe robe hooks will be as long-lasting as the rest of your bathroom fixtures thanks to the high standards of quality that all German goods are known for. 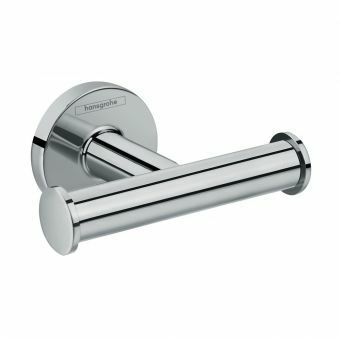 Based in the midlands, Imperial has been producing bathroom hardware for over half a century now. 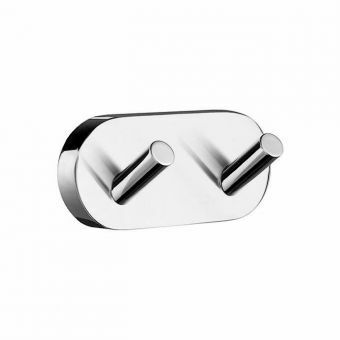 Their robe hooks offer the same high standard of functional and fashionable design as the rest of their large range of bathroom products, and are sure to please in terms of both solidity and aesthetics. You won't regret your choice if you settle for Imperial robe hooks. They are as pleasant to the touch as they are beautiful to the eyes! 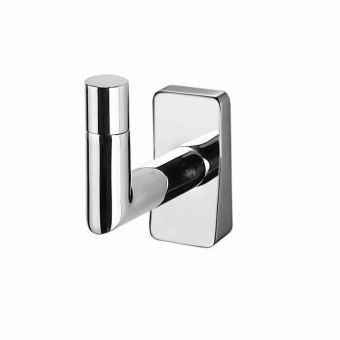 Another popular manufacturer with a distinctive design is Italian-based Inda. 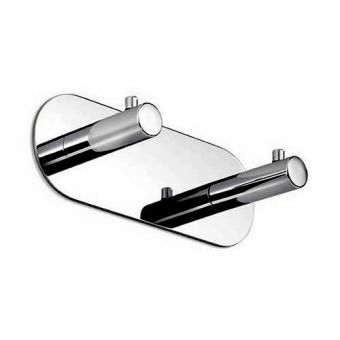 If you're looking for that specifically Italian high standard design, then their selection of quality brass bathroom accessories is bound to impress you. 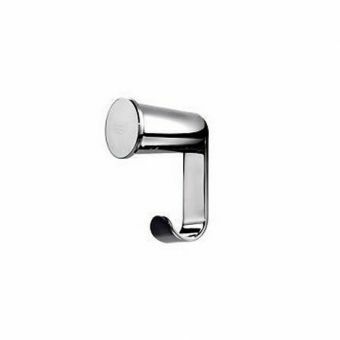 Inda's bathroom robe hooks offer the same creative, original and distinctive elegance as the rest of their wide range of bathroom products. 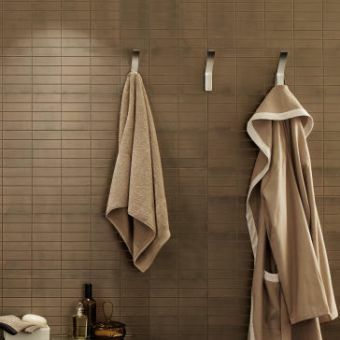 If you are smitten with the contemporary sleek, uncluttered and Italian showers, then Inda's robe hooks are just what you need to complete the sophisticated look. The classic-modern design of Keuco's products create a contemporary touch that defies the passing of time, integrating both ergonomics and functionality. 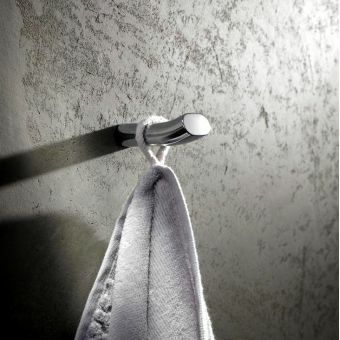 As a result, their bathroom robe hooks have distinctively clean, smooth surfaces, are incredibly long-lasting and brilliantly functional. You're sure to love them! Market leader in its native Scandinavia with a well-established global market, Smedbo offers both distinctive and contemporary lines. Most of its robe hooks are manufactured in brass with a wide range of finishes, and like all Smedbo products, a final layer of transparent lacquer ensures total protection and ease of care. 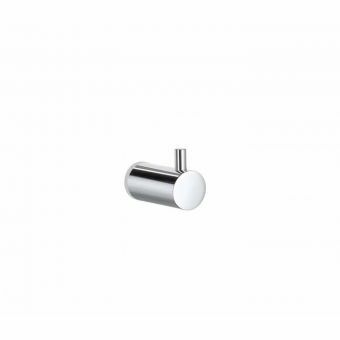 If you like the warmth and clean lines of Scandinavian products, then you won't go wrong with Smedbo robe hooks. 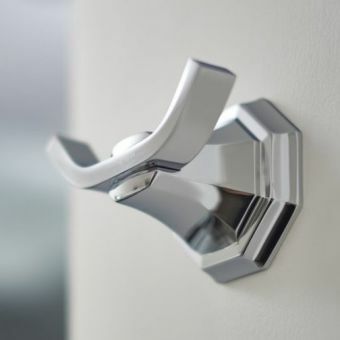 These guidelines are intended to help you choose the perfect robe hooks to enhance your bathroom decor, but at the end of the day, what counts is that you choose the product that corresponds to your taste. So feel free to choose what you like best! 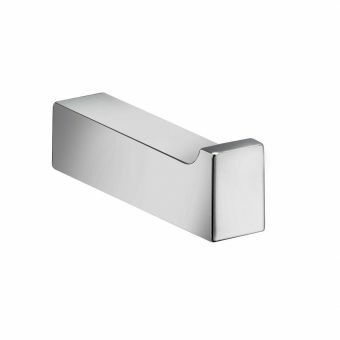 Whatever your final choice, you can be sure that your bathroom robe hooks will be both solid and long-lasting with concealed fixings for a streamlined look. All our manufacturers offer a guarantee, so you can make all your purchases worry-free!